In the first post in the series I introduced a few concepts and key terms you’ll need to know if you want to work with Docker. In this post I will cover the steps needed to begin working with Docker in your development environment. We’ll look at creating a very basic sample API service and a dockerfile that defines an image which can run the application inside a Linux container. Before we can begin using Docker we need to install it. There are a couple of options, if like me, you’re developing on Windows. When running with Linux contains it will start a Linux VM for you inside Hyper-V. Once Docker for Windows is running you can use Powershell to run Docker commands that will be passed through to the Linux host. If you don’t have Windows 10 Professional, don’t worry, there is another option. Docker also provide Docker Toolbox which includes VirtualBox, a virtualisation product from Oracle which can be installed freely. You can use this on earlier versions of Windows as well as Windows 10 Home. Docker Toolbox will create and load a small Linux VM for you inside VirtualBox which will then become the host for Docker. This does add a layer of complexity as you may need to configure port forwarding from the VirtualBox VM host out into your Windows environment. You end up with another layer to manage, but once you’re up and running it’s fairly easy to work with. Once you have it installed you can run the Docker Quickstart Terminal shortcut to start the Linux VM and attach to it. Once that loads you can run Docker commands on the VM from the bash shell. To demo the process of manually creating a dockerfile I’m going to build up a small sample API application. Inside a new empty directory I have created an ASP.NET Core 1.1 API project. This is just a default API project from the Visual Studio templates. I like to structure my solutions in a similar way to the Microsoft repositories so I do move a few things around. In my root folder I have my solution file. I then have a “src” folder, inside which I include any projects that are part of the solution. With a basic solution in place, I like to create a “docker” solution folder inside Visual Studio and inside that I create a new text file named dockerfile (without an extension). I locate the dockerfile physically in the root of my solution, alongside the sln file. Docker images are like onions and are layered up from multiple base images. Each new image builds on top of the previous image until a complete image it built, containing all of the components it needs. As a result, every dockerfile you produce will start with a FROM statement, which defines its base image. In this example I’m using a Microsoft maintained image for aspnetcore called aspnetcore-build. This particular image includes the .NET Core SDK to enable building/publishing the code. I also specify a tag after the colon. All images can be tagged with zero or more tags. This tag specifies that I want the image containing the 1.1 SDK for ASP.NET Core. If I did not include a specific tag, I would get the image tagged with latest, which at the time of writing this is the 1.1.x stream. These base public images are hosted online at DockerHub. This is a Docker registry that is commonly used for hosting public images. A registry like this can be thought of in similar terms to NuGet for .NET packages. Docker knows to search the DockerHub registry for any images you specify. If you don’t already have a local copy of the image cached locally, it will be pulled from the registry. The next line sets our working directory inside the container we are building. Any actions we perform will affect that working directory. As each line of the dockerfile is executed, it creates a new intermediate image, building up layers until you have your final image. We’ll look at this in more detail in a future post to see how we can optimise the layering to reduce the number of intermediate images and the time it takes to build a new image. Next we perform a copy command. When copying you specify the source (on the host) and destination (in the image) of the files to copy. In this case, by using periods we’re copying from the host at the path where the Docker commands are being executed, which will be the root of our solution directory. In the image since we also used a period, we are copying directly into the working directory which in our case is /app. Next we execute two run dotnet commands. The first runs the dotnet restore command which will perform a package restore from Nuget for all dependencies of our solution. Next I run a dotnet build command to produce the default application build. Next we switch the working directory to the directory containing the copied in project file. Finally we define the entry point to the image. This is the instruction to the image on how to start the process that it will run for us. In this case we tell it to execute the dotnet run command which will start up the ASP.NET Core API, hosted on Kestrel, and begin listening. By default the base aspnetcore image will set an environment variable that will tell the webhost to listen port 80 within the container. Now that we have a dockerfile defining our image we can use the Docker commands to create the image for us. On Windows when running Docker for Windows we can run the Docker commands directly from a Powershell window. I opened up Powershell and navigated to the root of our sample solution. docker build -t sample1 . The inclusion of the -t option allows me to specify a tag for the image which will make working with it easier later on. The dot (period) at the end of the statement is important and tells Docker where to build from. In this case as I’m in the solution root already and my dockerfile is located there I can use a dot to represent the same location. Docker will now begin to build my image. Why is it downloading so much? As I touched on already, Docker is based on layers of images. Each dockerfile specifies a FROM image which is its base image. It makes a small immutable change which is then available as the basis of the next layer. The aspnetcore-build image is exactly the same. It is based on a dotnetimage from Microsoft and below that a few other layers until we get to the initial Debian Linux image. When we include the aspnetcore image in our FROM command it will pull down the required layers of images from the DockerHub. Each of these is cached on the host machine so they can be quickly reused when possible. Some of these image layers will be very small as they make incremental changes to their base images. In my example I had explicitly cleared all of the images on my machine so I could show this first time download of the images. PS E:\Software Development\Projects\DockerDotNetDevsSample1> docker build -t sample1 . Step 3/7 : COPY . . Restore completed in 3.87 sec for /app/src/DockerDotNetDevsSample1/DockerDotNetDevsSample1.csproj. Restore completed in 5.16 sec for /app/src/DockerDotNetDevsSample1/DockerDotNetDevsSample1.csproj. As you will see, the build process executes each line from our dockerfile in order. At each stage a new intermediate container is built and the change from the next command applied. You can see the output of the package restore occurring for example, and the final build of the dotnet solution. This tells Docker to run the image called sample1. Because we tagged our image with that name it’s easy for us to now start a container instance. Without a tag we would have had to use part of the randomly generated id instead. I also include a -p option which tells Docker that we want to expose a port from the running container through to the host. We define the port on the host that we want to use, and the port on the container we want to pass through. By default no ports are exposed which helps make containers secure. Now that the container is running and a port has been mapped onto the host we can call the API. 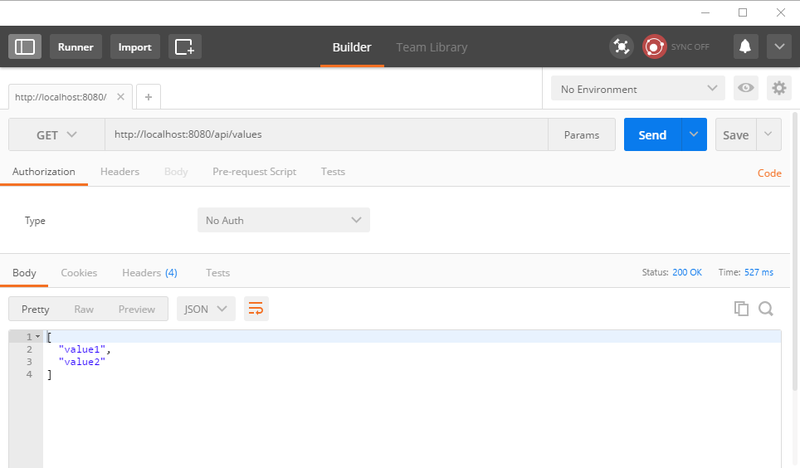 To test this I used Postman to build a request to send to the API, exposed to us on port 8080. The above command starts our container from our sample1 image, but as you will have noticed, we were joined to its terminal, so we saw it’s console output. That happens by default since Docker run will attach to the container we are starting. This is fine for testing, but often we are not concerned with spitting out the console to our host. 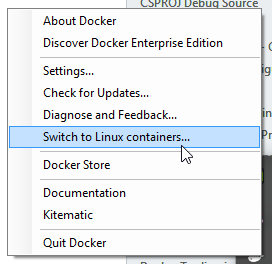 The -d option tells Docker that we want to start the container in detached mode. This means we won’t see the console output streamed from the container. It’s running, but in the background. We get shown the id for the container which we can then use to perform commands against it. For example, should we want to check what’s happening inside the container we can use the logs command to show the latest console messages. When sending commands we can use a shortened id to target a container. You only need to send the smallest amount of characters needed to uniquely identify the container. As nothing else is running with an id of c6 we can shorten the id significantly. To stop the container we can use the command “docker stop c6” which will instruct it to gracefully end the process and stop. In this post we’ve looked at the options to install and run Docker on a Windows device. 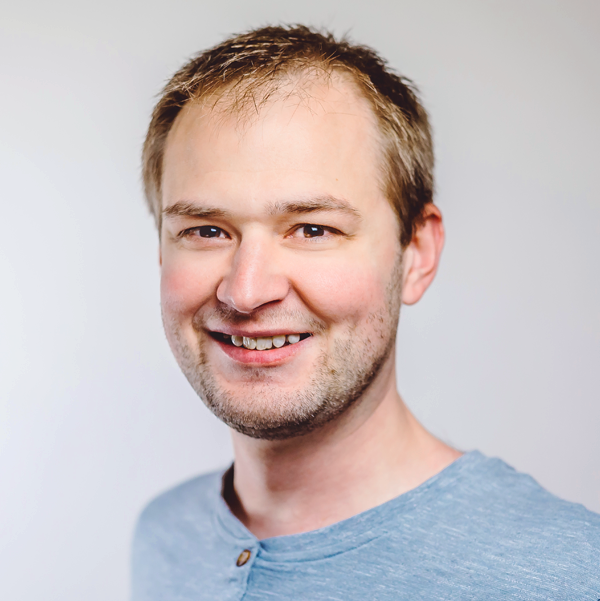 We then looked at creating a basic solution and including a dockerfile so that we could define a Docker image intended to run our application. Finally we looked at how we can start a container from the image and some common commands to work with it. In future posts I’ll expand on this further and show how we’re using docker-compose to orchestrate multiple containers during development. We’ll then look at how we can create a CI build pipeline using Jenkins and eventually look at using AWS ECS to host live services running in containers. If you want to try out the code above for yourself I have uploaded the source from this post to GitHub.